Active Citizen, the mobile application for the eponymous project by Moscow’s City Government, allows you to take part in the development of the city by assessing various initiatives and completing surveys in regards to the capital’s development. User motivation works like this: you score points for every survey you complete. The more surveys you complete, the more points you accrue. Consequently, you will eventually receive the status of «Active citizen» (1000 points needed). With this status, you can exchange the accumulated points for urban services such as transportation cards, parking hours, or tickets to parks, theaters, museums, etc. I led the design of Active Citizen across iOS, Android, WinPhone and Web since the outset of the project in February 2014. Up until March 2015, I made this project from idea to publication in the store, (design, UX, supervision). Main Award n the category of “projects for government agencies” award SABRE Awards EMEA 2015. 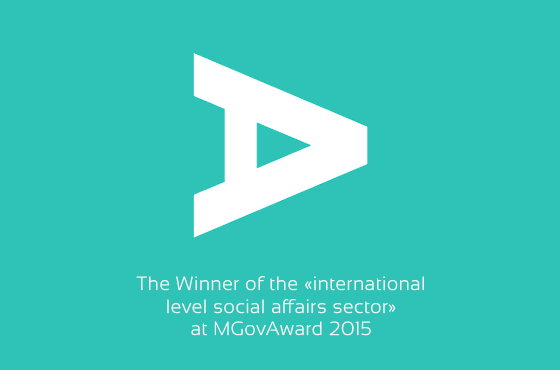 In February 2015 the project was named the best foreign application in the “social sphere” International Award Best m-Government Service Award and became the winner of the Digital Communication AWARDS-2015. Mobile application “Transport of Moscow”, the visual concept for transmission on screens rendering ordinary designers, followed by art-direkshenom on my part. Only Android (iOS at the time decided not to alter, as skeuomorph liked to customers).